Climate change is rapidly making its presence noticed by hotter summers and drier winters. As a consequence, more and more people are in desperate need of air conditioning. While we are living in a time when most homeowners are renting hot water tanks and leasing their cars, air conditioning rental may seem much more appropriate than purchasing. Most homeowners prefer to rent their hot water tanks because it allows them to be covered in case of malfunctions, as opposed to purchasing them. Moreover, according to our service records, furnaces are five times more likely to malfunction when compared to a water tank. While you can purchase them and extend your warranty indefinitely, it is not without considerable cost. In this regard, HVAC rental programs are very attractive and affordable with monthly rental fees starting at just $49.99/m plus tax. 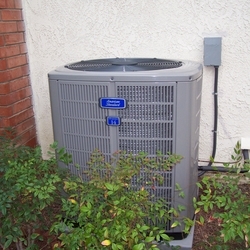 Equipment installation is guaranteed by certified professional installers. So which option is truly the best? Furnace rental? Air conditioner rental? Buying? Truthfully, furnaces and air conditioners lose value rapidly after installation and a re-sale is out of question. Due to this situation, you should ask yourself if it’s worth investing money in a depreciating asset. This question is even more valid if you are not the owner of the house and are planning to move after a couple of years. In this regard, renting is easier and it allows you to transfer the installation to next owner- if you decide to do so. – Free lifetime parts, servicing and labor. No exceptions. All things considered, you shouldn’t wait until your old equipment breaks down. You can pick up the phone and do the right thing for yourself and the environment: have a new, high-efficiency system in your home. 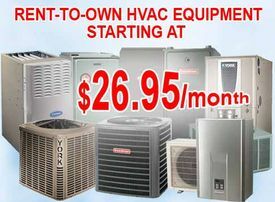 Why waste money on a depreciating asset when you can choose between furnace rental and air conditioner rental?